Yesterday, Twitter announced that Promoted Tweets will be appear on other services. 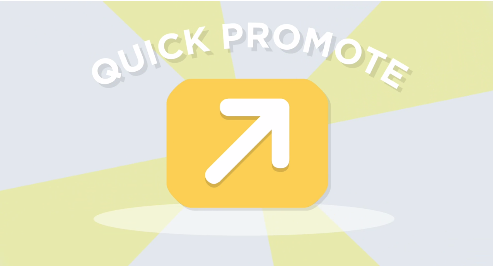 Now it’s revealed a new feature – quick promote – that lets users select their most popular tweets and pay to boost them directly from the analytics dashboard. The new feature is aimed at small and medium businesses (SMBs) to encourage them to make more Twitter ad buys. Previously they had to use the company’s self-service platform. That’ll still be available but Twitter realizes the analytics page is where customers spend most of their time. The company is clearly trying to push the idea of Promoted Tweets growing revenues for SMBs. “We found that users who see a relevant Promoted Tweet from an SMB are also 32 percent more likely to visit that business,” Twitter product manager Buster Benson wrote in a blog post. You can see how the new option works in the video below. Obviously Twitter also posted the video in its tweet but those aren’t embeddable yet. Read next: The TNW Europe Hack Battle is Back!